December 16, 2010 by Anthony Palombo, D.C. Some free radicals are actually essential to life. Free radicals have acquired a rather notorious reputation. Like with the news media and worldly events, we mostly hear about all the bad stuff they do to the body’s cells and their DNA. The good stuff often goes un-noticed and untold. One such essential “free radical” is the recently discovered and celebrated Redox Signaling Molecule. Before I tell you about it, however, let me create a little context that will help you understand its importance in your body. Your cells are micro-models of your entire body. Your body has organs and its cells have organelles: they eat, they digest, they create energy, they excrete waste, they are regenerated, and they die. Their health depends largely on the conditions of the terrain wherein they live and carry out their various roles in the body. This post is about the health of this terrain of your physiology. Your body is only as healthy as its cells. It lives and dies at the cellular level. Cells are individuals complete unto themselves. They are also gregarious. 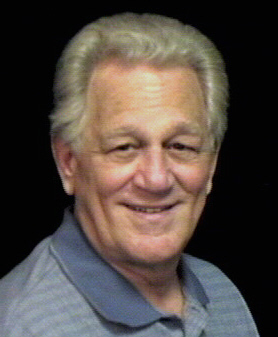 They form communities of organs and systems and communicate with one another and with cells in other communities, such as the immune system – or what I prefer to call “immune alliance.” (It’s an alliance by virtue of the involvement of and dependency on every cell, organ and system of the body.) The immunity of the body is only as strong and balanced as the health and stability of the cell and its ability to communicate with and activate protective mechanisms such as antioxidants and “T” cells, or T lymphocytes. T cells are the body’s exterminators. They destroy harmful bacteria, pathogens, toxins, viruses and even viral-infected cells. They are made in the Thymus gland and bone marrow. They often depend on the secondary lymphoid organs, such as the lymph nodes and spleen as sites where activation occurs, but they are also found in other tissues of the body, most conspicuously the liver, lungs, blood, reproductive tracts, and profusely throughout the intestinal tract. Cells can be injured and damaged by “free radicals.” When they are damaged they cannot function normally nor communicate with the rest of the cells in the body. But not all “free radicals” are equal, nor harmful. So, let’s take a look at what they are. Free radicals are oxygen-carrying atoms, molecules or ions with unpaired electrons looking for other molecules with unpaired electrons to bond with. They may have a positive, negative or zero charge. The unpaired electrons cause radicals to be highly chemically reactive. They pair up with other molecules, such as those of the cells, to which they bond and, in most cases, do damage through what is called “oxidative stress.” Antioxidants, such as found in fresh fruits and vegetables, including Vitamins E and C, can protect the cell from free radical damage by a chemical reaction that simply neutralizes free radicals. This is the purpose of antioxidants. Hydrogen, for example, is an atom with a zero charge and an unpaired electron to which free radicals are easily attracted and bond. Once they bond, they are no longer “free” and are thus rendered harmless. This is why it is important to keep the pH (potential of Hydrogen) of the body’s fluid internal terrain balanced with plenty of raw fruits, vegetables and alkaline-ash foods (not to mention plenty of water, which is comprised of 2 Hydrogen and 1 Oxygen molecules). Too many acid-ash foods, such as meats and grains, deplete the alkaline reserve the body draws on throughout the day in order to keep the pH balanced. Otherwise your body’s terrain becomes acidic making the cells very unhappy as the acidic fluids in which they live and function erodes their outer wall. As demonstrated here, the immune system (T cells) is one such system activated by these redox signaling molecules. These reactive molecules attach to receptor sites on the cells and convey signals and messages to them, thereby empowering them to perform specific functions. Redox signaling molecules also activate antioxidants that protect the cells of the body from free-radical damage. In fact, antioxidants are functional only when activated. As you can see, these molecules are very important to life. If you haven’t heard of redox signaling molecules yet and the role they play in the body’s ability to maintain a high degree ofhealth and well-being, you are not alone. Despite the fact that these molecules are relatively unknown to the general public, researchinto the critical role they play in cellularhealthhas been going on for at least 30 years, if not longer. 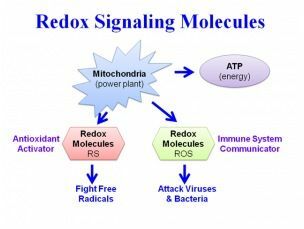 For a layman-friendly explanation of the Redox Signaling Molecule, visit this website: http://www.hubpages.com/hub/Redox-Signaling-Molecules-The-Next-Health-and-Wellness-Breakthrough . You will be thrilled and thank me for bringing this information to you at this time. This complex process, which occurs naturally within the cells of the body, slows down as we age, contributing to the ageing process. Damaged cells fail to produce sufficient quantities of these signaling molecules, and those that are produced are often unstable and ineffective. This slowing down and consequent ageing can now be addressed through a recent scientific breakthrough which has found a way to stabilize the Redox Signaling Molecule and synthesize it for human consumption with significant results in health benefits. For a visual demonstration of how these radical molecules work in the body, click on this link: http://www.dranthonypalombo.teamasea.com/science.aspx. Scroll down and click on “View the full video.”This is my website as an associate distributor for ASEA(TM) products. After viewing the video, you may contact me for further information about this innovative approach to health enhancement. I’m taking ASEA(TM) myself and have noted an increase in energy, stamina and mental acuity and clarity. That’s encouraging to a septuagenarian. Clients report that they are able to reduce the amount of supplements they are taking. I feel good about this product and recommend it highly to my blog readers. I wish you each one a very joyful Christmas and a New Year of abundant and healthy living. This entry was posted in Ageing, Alternative Healthcare, Antioxidants, Free Radicals, Lifestyle, Longevity, nutrition, Nutritional therapies, pH, Reactive molecules, Redox signaling molecule, Supplements, Virus, Vitamin C, Vitamin E, Vitamin supplements, Whole Foods and tagged aeging, antioxidants, free radicals, Immune system, Longevity, Redox signaling molecule, Vitamin C, Vitamin E.
Excellent write-up, Tony! Thank you for posting this. I, too, have been taking ASEA for the past three weeks and have noted many encouraging changes. Within 2-3 days, I noticed excellent mental clarity, much more energy and speedy healing of minor skin issues. I no longer feel sporadic tiredness, and a couple of serious skin and scalp issues have been showing promising signs of complete healing. Coughing, too, has all but disappeared completely. I’ve also become more acutely aware of my body’s enhanced ability to speak to me clearly, precisely and emphatically….especially when I eat something which is not wholesome to its nourishment. I’d love to see ALL of my loved ones awaken to this ‘molecule of life’. Thank you for your testimonial, Catherine. I feel that ASEA does truly open a portal of hope for our body temples that have been laden with toxic chemicals for so long — from our air, our water and our food. As a clinical nutritional therapist, I know that my clients will take fewer supplements with ASEA in their daily regimen. Absorption can only be enhanced as body cells begin to be in touch with one another by way of these Redox Signaling Molecules. Thanks for sharing you experience. The Season’s best to you! care for such information much. I was looking for this particular info for a very long time.